Go, go, Elton! 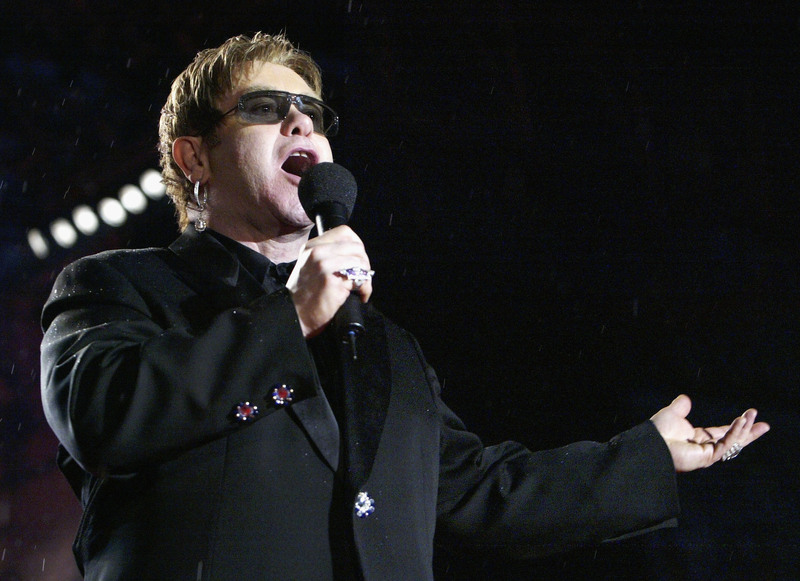 With just weeks before the Sochi Winter Olympics start, music king Sir Elton John has released a damning statement on his official website against Russia's anti-gay laws. Elton called the law banning instances of "gay propaganda' an example of "vicious homophobia," and volunteered to introduce Russian president Vladimir Putin to gay Russian citizens "who deserve to be heard." Last month, John performed in the Russian cities of Moscow and Kazan, and wrote that he was shocked by the stories his gay fans had told him about the treatment of the LGBT community in Russia. The openly gay singer added that he'd been concerned that his Dec. 2013 trip to Russia would be marred by the anti-gay laws laws. The people I met in Moscow were decent, kind, patriotic men and women who had no thought of forcing their sexuality on anyone. Whatever the intention of Russia's homosexuality and pedophilia propaganda laws, I am absolutely clear from my own personal experience that it is proving deeply dangerous to the LGBT community and deeply divisive to Russian society. I would welcome the opportunity to introduce President Putin to some Russians who deserve to be heard, and who deserve to be treated in their own country with the same respect and warm welcome that I received on my last visit. Russia's anti-gay laws, signed in by Putin last August, make it illegal to participate in any activity that could considered "gay propaganda." It's a deliberately broad phrase, meaning that it can be used in a number of circumstances to persecute gay men and women. The laws also draw an unfair parallel between homosexuality and pedophilia — it bans any exhibition by the LGBT community, such as protest or holding hands in public, in front of minors — which further stigmatizes a community that continually suffers from threats and violence in Russia. While Putin has made a (poor) attempt to soften the international image of Russia ahead of the Olympics, declaring that gay people will be safe at Sochi as long as they "leave kids alone," there are still travel warnings for LGBT Americans planning to attend the Olympics. The warnings alert American citizens that foreigners can be jailed, fined, and/or deported if they demonstrate affection in public or take part in gay-rights protests in Russia. Putin recently used Russia's love of Elton John to illustrate that the country doesn't discriminate against gays. "Millions of our people sincerely love him despite his orientation," Putin told press. The people I met in Moscow - gay men and lesbians in their 20s, 30s and 40s - told me stories about receiving threats from vigilante groups who would 'cure' them of homosexuality by dousing them with urine or beating them up... One young man was stalked outside a gay club by someone posing as a taxi driver who tried to garrote him with a guitar string because he was a 'sodomite. Everyone shared stories of verbal and physical abuse - at work, in bars and restaurants or in the street - since the legislation came into force last June.